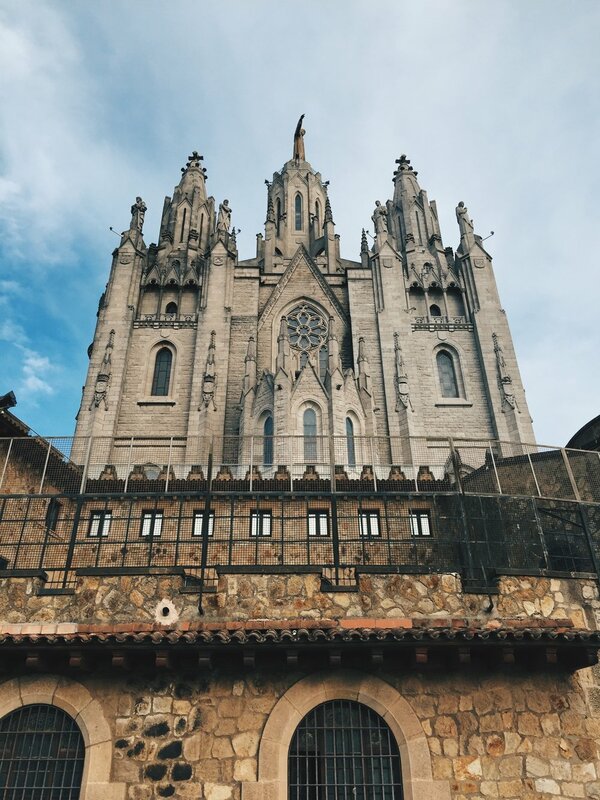 Travel Guide: Best Day Trips from Barcelona — Blake Erik. Barcelona's a huge city but because a lot of Europe is pretty well-connected by rail or road, it's pretty easy to get out of the city. While living in Barcelona, I wanted to see as much as I could of the surrounding area after I'd walked all over Barcelona. And with the commuter Renfe trains Rodalies, it was pretty easy to get around. 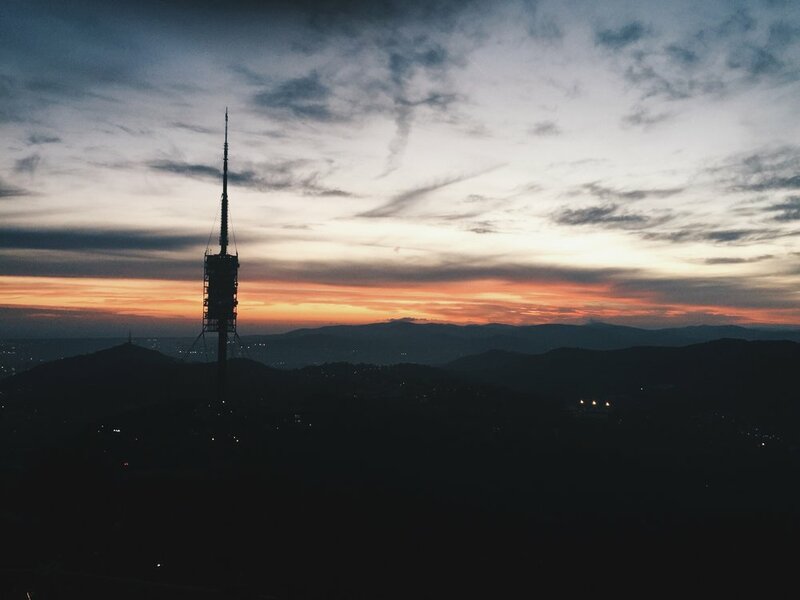 There are a fair few articles around about day trips from Barcelona, but I can definitely say some are better than others so here are some of my favourites. The coastline is my favourite part of different countries and cities, and the best part about Spain is that dotting the extensive coastline are small beautiful towns which are incredible to get away from the city with. However, without a car, admittedly you're a little more limited when it comes to Costa Brava. 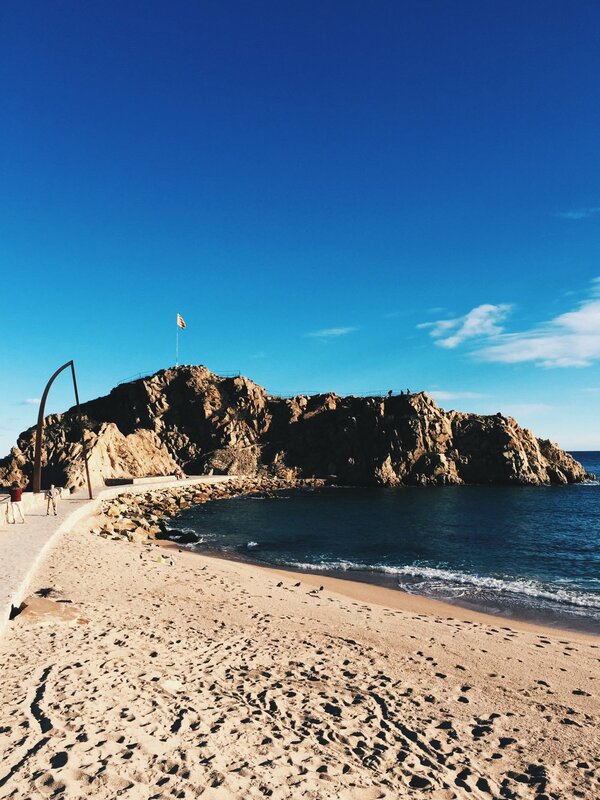 Costa Brava stretches to many towns and villages like Blanes, Tossa de Mar, Tamariu, Roses, Cadaqués all the way up to France. And on the commuter trains from Barcelona-Sants Station (Metro station: Sants Estació), which was my main mode of transportation, one of the few stations on Costa Brava was to the popular summer tourist town of Blanes. 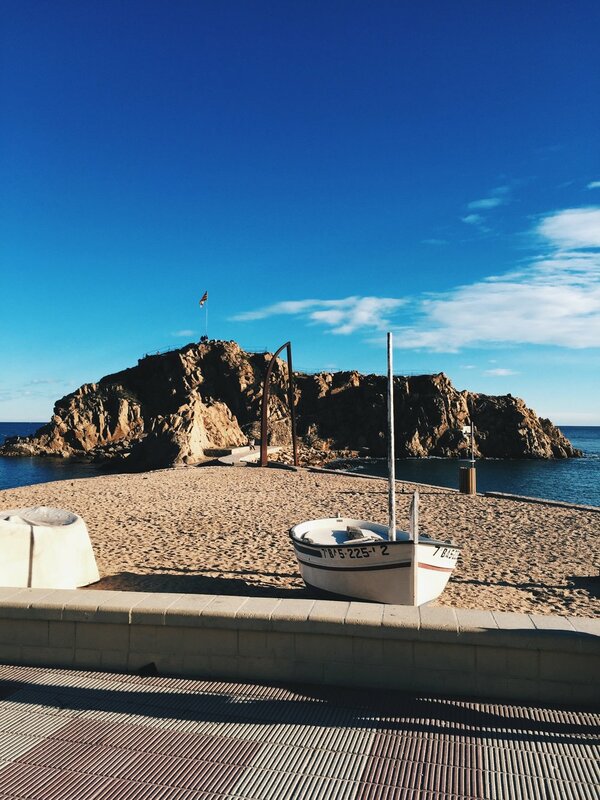 I'll be honest here and say that I don't feel like Blanes was the most authentic Costa Brava experience, but the taste I got of it was nice enough but the next time I do Costa Brava, I'm definitely renting a car and getting myself out to the smaller, less accessible towns. While working in Barcelona, my colleague from Costa Brava mentioned that her favourite town is S'Agaró and you can get there by bus from Barcelona with one of the recommended bus companies being Moventis Sarfa departing from Barcelona International Airport or Moventis Sarbus leaving from the City. I actually wanted to visit the towns of Begur or Roses just because being slightly more inaccessible just makes for a more quiet getaway, and an experience more authentic to Costa Brava, as we were told Blanes gets really crowded in the summer with international tourists just looking to get hammered in the clubs which slightly ruins it a bit for me. But hey, the beauty of travelling in the winter is that you never have to deal with these crowds. In Blanes, after we got off the train, the station was located in a more industrial area, which was rather confusing. There was a bus outside the station with a destination to the other popular tourist towns like Lloret de Mar, but we decided to stay on in Blanes and walked out. We just continued through industrial areas which wasn't the image of Costa Brava I had in mind, but we soldiered on and headed towards the direction of the ocean. Slowly it started to reveal itself more, but we were struggling to find an appealing place to settle for lunch. 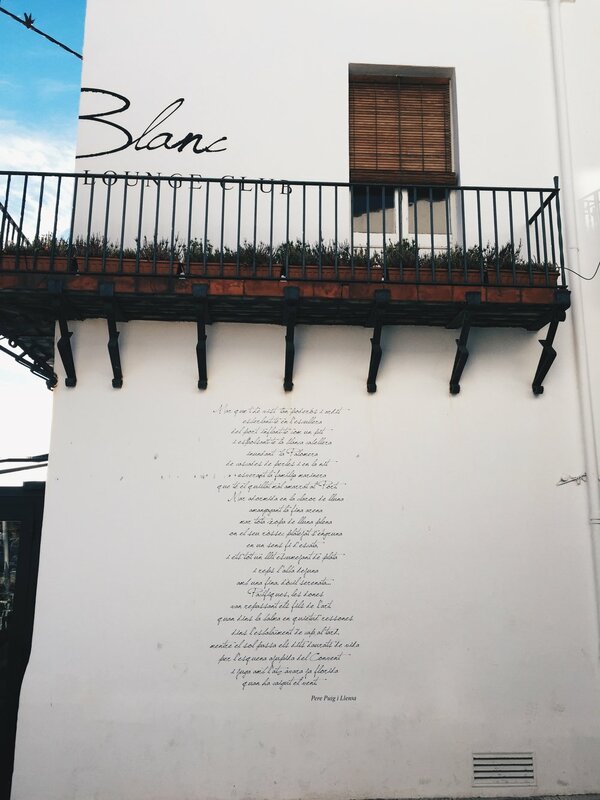 Thankfully, we stumbled on esBlanc, which was packed and looked really good and it turned out great. The best finds are the finds you didn't plan for! Across the restaurant was a hilltop where I got some incredible photos and views of Blanes. 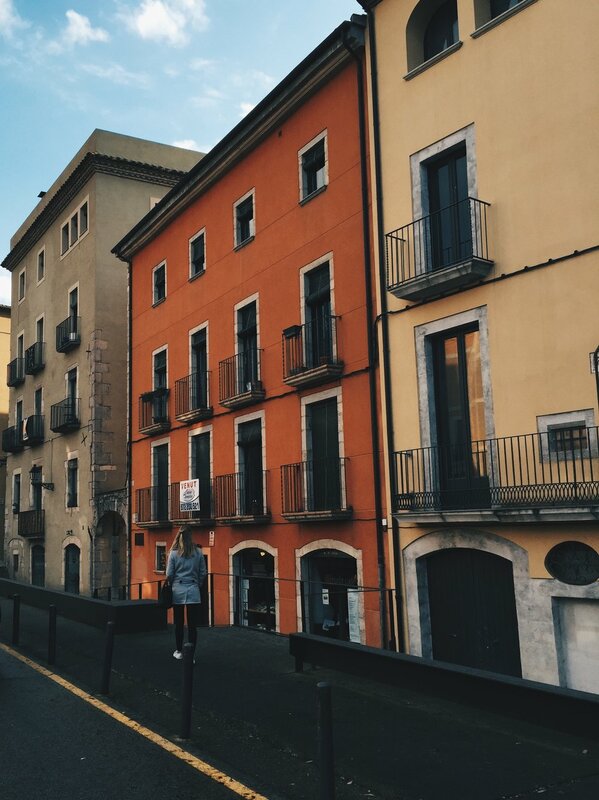 I loved Girona, and I didn't expect to. I loved it because it was a lot bigger than I thought it would be, as it should being the capital city of the province of Girona. Located north of Barcelona, Girona's famous for its view of the colourful houses on the river banks. 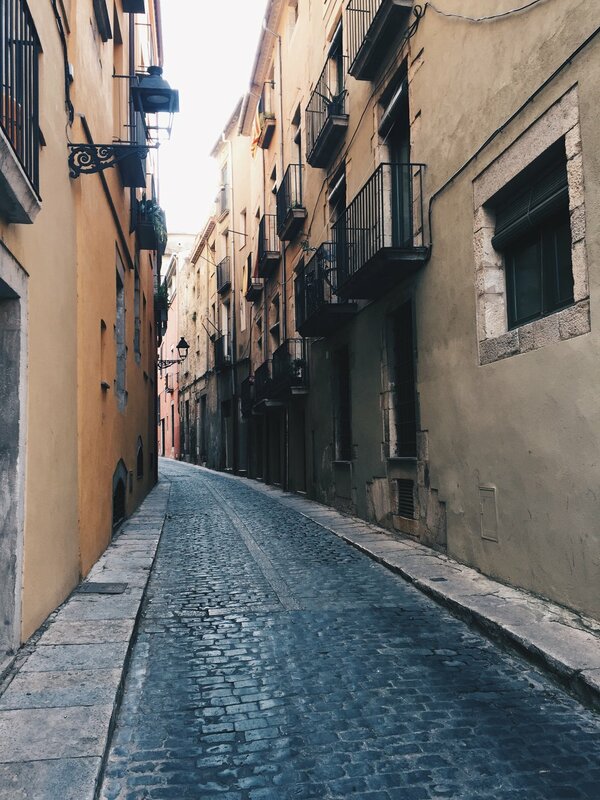 One of the biggest draws to Girona is the old town, with the classic beautiful Mediterranean streets. 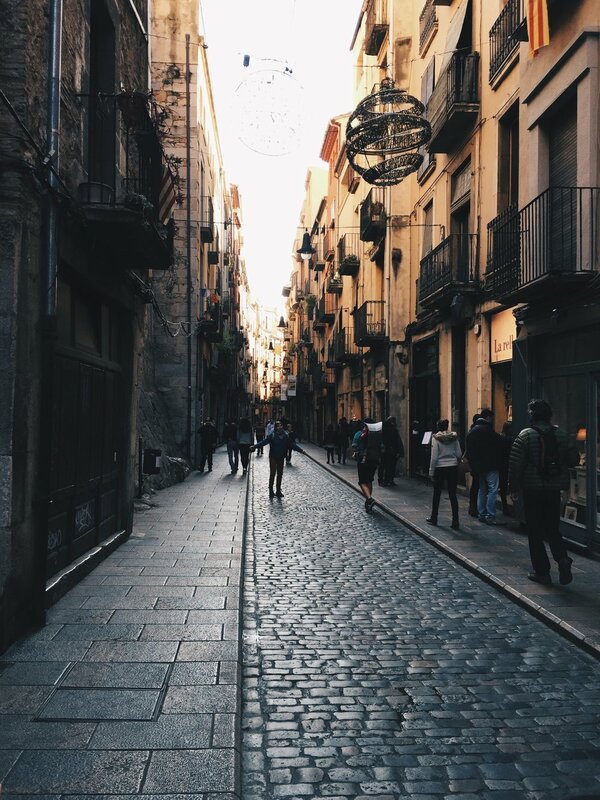 Given that Girona's one of the most popular cities for daytrippers from Barcelona, even in winter the streets were crowded. Many of the shops that lined the streets were also frequented with many patrons which added to the buzz of the city. 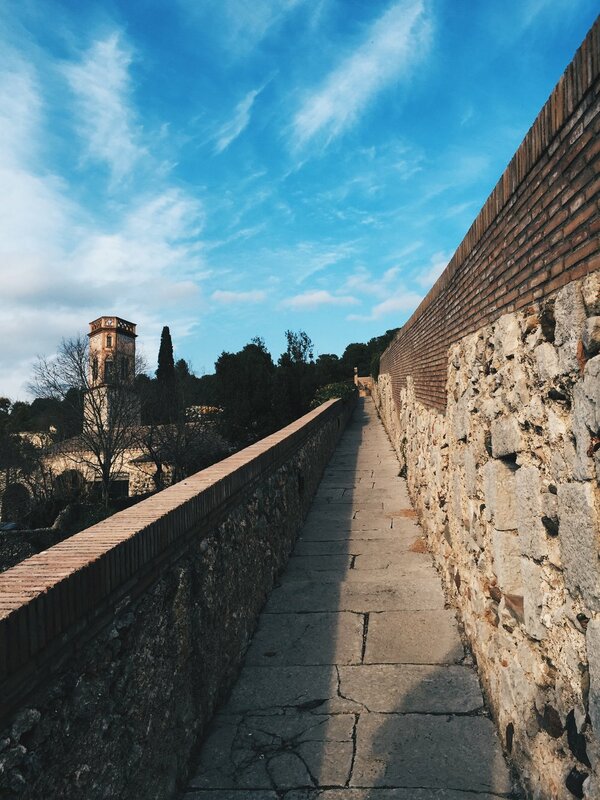 In the past, Girona had a defensive wall running around the city, which was demolished in the 19th century to allow for the expansion of the city but was reconstructed on the city's eastern side. Passeig de la Muralla now forms a tourist route and I have to say, this was honestly my favourite part of Girona. There's something about getting up to a vantage point and being able to see further beyond and the wall runs for that long that you get to see multiple views. 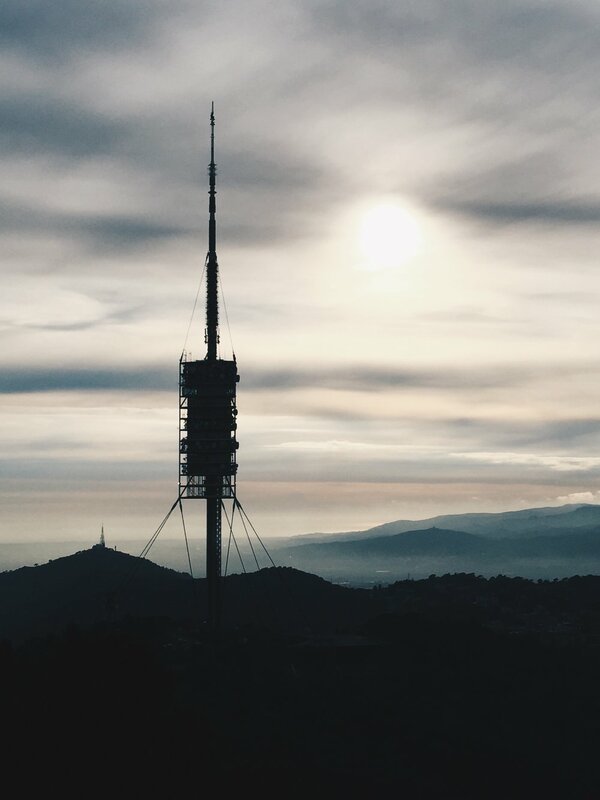 There are a couple ways to get to Tibidabo, which you can find on the Barcelona Municipal Services website here, but I decided to take the bus from Plaça Catalunya as it runs every 20 minutes from the city centre. 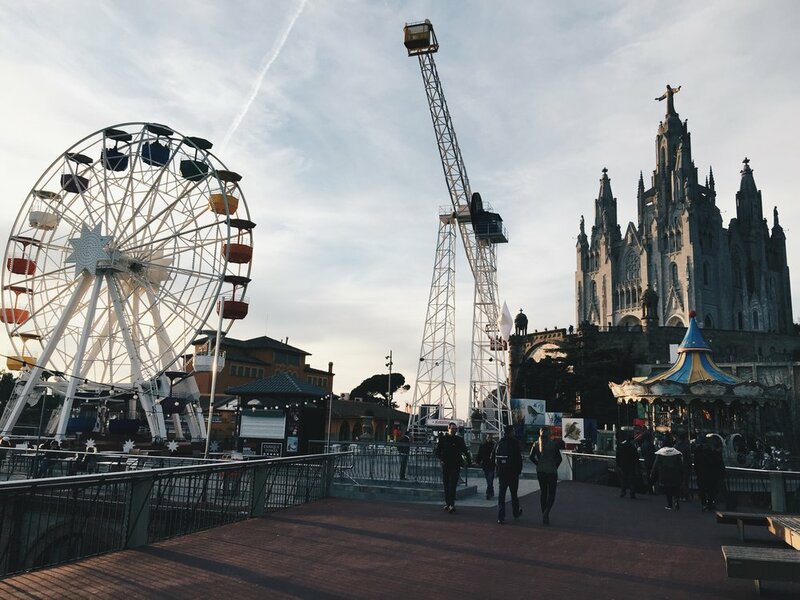 Tibidabo is a mountain on the city fringes, and up on the top is the grand Sagrat Cor Church and an adjacent Tibidabo Amusement Park. We paid a small fee to take a lift up to the top of the church, which had amazing views of the mountains beyond, and the view of the ocean and the city. Watching the sunset from up top was stunning. The amusement park isn't gated nor does it require an admission ticket to go around, so we just took a walk around the park. It's more of an amusement park for younger ones or the slightly more faint-of-heart, so there wasn't really all that much for thrill seekers. 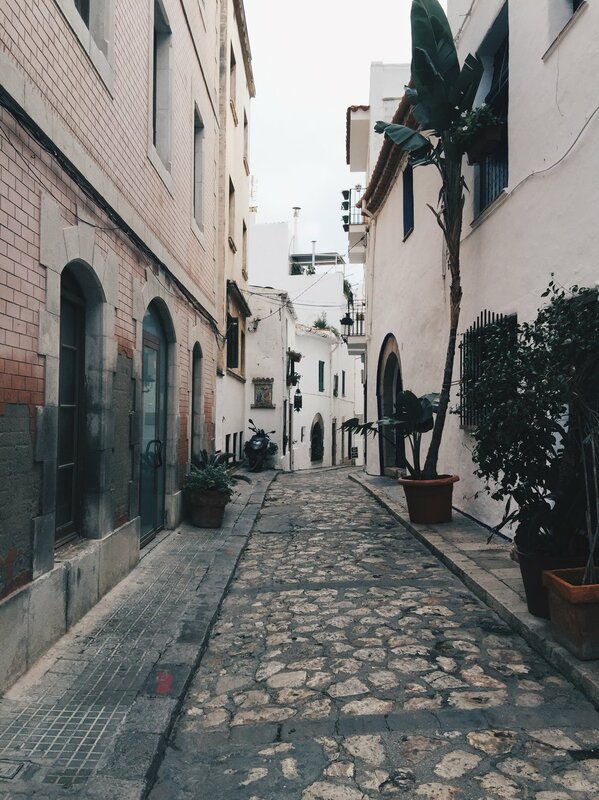 Sitges is one of the more popular day trip destinations out of Barcelona due to its' close proximity to the City. Popular in the summer for nightlife and beaches, Sitges plays host to Carnival and its' Film Festival. 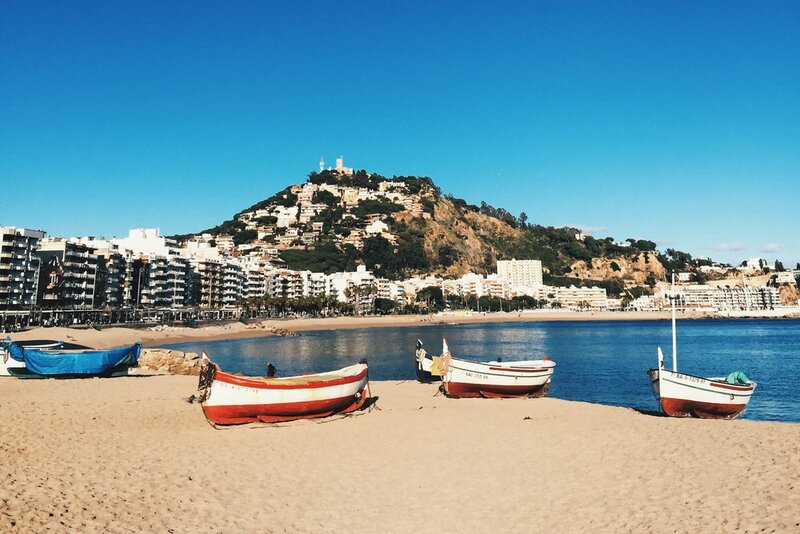 For a regular daytripper, Sitges is a nice beach town to visit. A lot of colours on the streets are in white and blue, or at least the photos I took were because I was drawn to those colours in the streets. The church on the hill in the picture above was my favourite sight in the town, but getting lost in the streets was really the best part. I'll definitely have to go back on a day with clear blue skies and sunshine though. Tarragona is an old city from the Roman era, and its tourist attractions now very much revolve around the ruins from that era, such as the Roman Amphitheatre, Roman Circus, as well as a museum connected to the Towers which was pretty cool to wander around. The sites weren't free but entrance fees were minimal. We were able to scale the tower as well and get some great views of the city. Other non-Roman sights were the cathedral as well as the town squares. If I'm being honest though, Tarragona didn't leave much of an impression on me. The Roman sites save the museum and tower, were actually pretty small. The amphitheatre isn't exactly on the scale of the Colosseum, and many of the ruins have been left, well, very ruined. So as much as the videos and pictures you see in the museum can let you into an idea of how the Roman sites used to be like at the height of the Roman era, you really have to use your imagination here, because what you see is really just a ruined structure. The city itself was sleepy, I was in Barcelona over a winter after all, but there wasn't much buzz about the streets. Perhaps it was the weather, and maybe on a gorgeous clear day with blue skies and sunshine I would've seen Tarragona in a different light, but it was just alright to me. 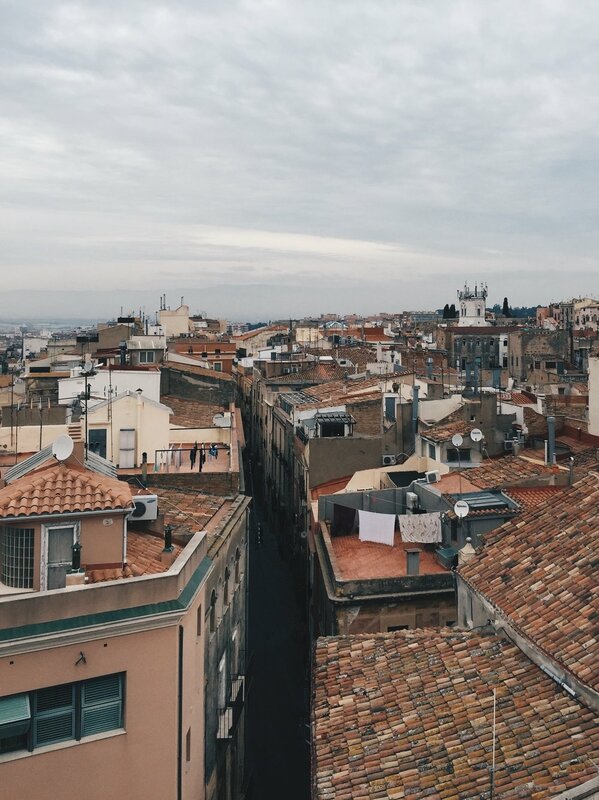 It's not a shabby place by any means, but if you're strapped for time during your time in Barcelona, I wouldn't be throwing out Tarragona as a first choice. Still able to find beauty in every corner though, I won't front. Famous for a mountain top monastery, a 30 mile trip takes you to Montserrat, where a train ride from the city's Plaça d'Espanya station and a funicular and/or cable car ride after brings you into the Catalan valleys. 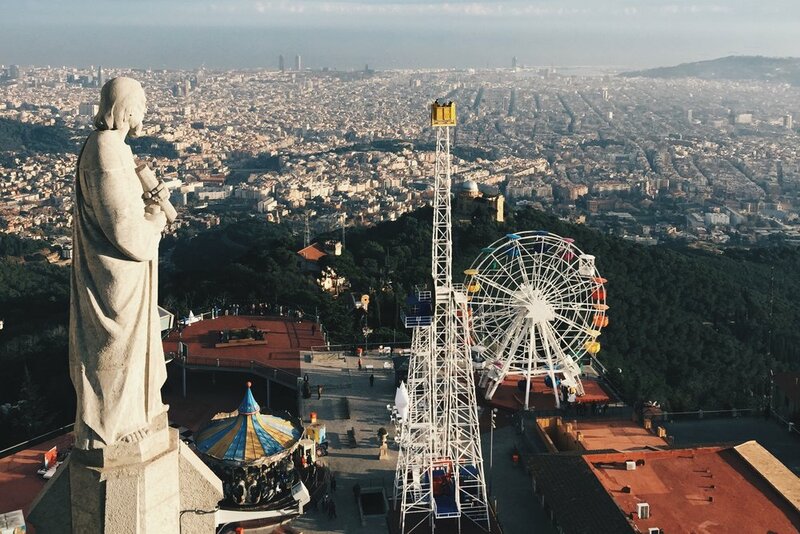 In Barcelona itself, you get to choose between the cable car ticket or the funicular train ride, and it'd be worth your while to opt for the cable car option as it also covers funicular train rides at the top. The renowned Benedictine Abbey Santa Maria de Montserrat houses the Virgin of Montserrat statue where there was a small line when we were there to properly see it. Outside of the monastery though, there are a number of other buildings around which are beautifully well-kept, as well as the pristine streets which weren't too thronged with foot traffic when we were there. A cafeteria is available for lunch just outside the station, and the food was fine, if not slightly clinical and IKEA-like. One of my favourite parts about Montserrat was the stunning views of the valley from up top. They say on a clear day, you can see as far as Majorca.